While organic website visitors are important to growing your practice online, pay-per-click (PPC) advertising is a great way to kick-start your online efforts immediately. 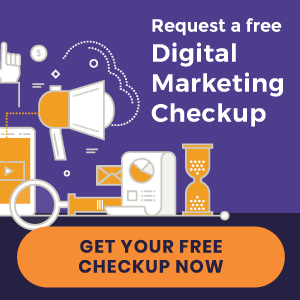 Our team of chiropractic PPC experts creates comprehensive advertising strategies that work in harmony with your overall digital marketing plan to attract more of your ideal patients. Depending on the goals of your practice, we’ll guide you through the process of determining which PPC outlets will be most effective. At Perfect Patients, we have the benefit of knowing your website, services, voice, and brand intimately. With this information, we create custom campaigns to get you the highest ROI possible. Use Google Ads to maximize your reach by bidding for top placement in Google’s search results. You set your daily budget and our Certified Google Ads Specialists create your ads, unique landing pages, and bid on keywords targeting quality new patients. As your website and SEO provider, and an accredited Google Partner, we are uniquely qualified to merge your SEO and advertising strategies for maximum new patient results. Our experienced team builds comprehensive ad campaigns to reach your ideal patients where they spend their time – social media. We’ll create ads that will appear in Facebook’s newsfeed in front of specific demographics in a targeted location. We can also use Facebook Ads to promote information to your existing patients such as events, special offers and more. Facebook is an excellent way to build brand awareness. Integrating these campaigns with landing pages optimized for conversion and custom chiropractic content is the Perfect Patients difference.